This undergraduate/graduate research conference will explore the meaning and practice of “Heritage” in the Indian state of Punjab, in the context of its global configurations. The program will commence with three days of lectures and group experiences at Punjabi University Patiala (PUP) with a group of students from the University of British Columbia and PUP and affiliated colleges (a combination of post-graduate and college students). We will also make visits to local historical sites in and around Patiala. After these days of reading, listening, discussion, and sharing at PUP, the group will relocate to the city of Amritsar, where students will visit local heritage sites; engage in heritage-related interactive activities with local artists and heritage specialists; and visit the “Preet Nagar Mela,” an arts exhibition on view in the village of Preet Nagar, an artists’ community founded in the 1930s that now lies near the India/Pakistan border. 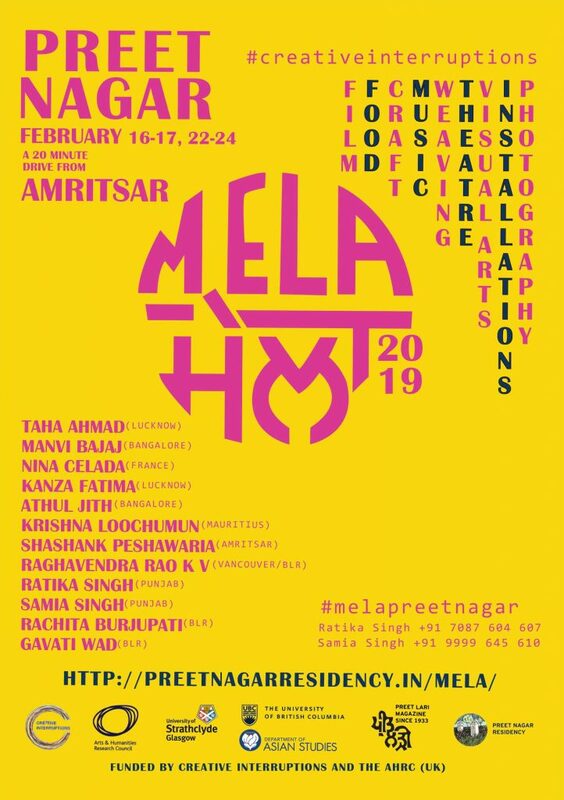 Contemporary art works on view at the Preet Nagar Mela engage with the legacy of Partition, the division of the cultural and linguistic region of Punjab into the post-colonial states of India and Pakistan in 1947. They were developed through a series of artists’ residencies in October and November 2018 through a project funded by the Arts and Humanities Research Council of the UK, “Creative Interruptions.” Students will engage with the people and places of Amritsar, Preet Nagar, and nearby localities to reflect on Heritage practice, and present their work along these lines on the fifth and final day of the program, at a half-day conference. Back in Vancouver, students will be invited to present the results of their work at UBC and beyond, when (all or some of) the works of art on view in India are brought to BC for an exhibition here in 2020. Made possible through UBC Go Global. For more on the exhibitions, visit the Preet Nagar Mela and the Creative Interruptions websites.